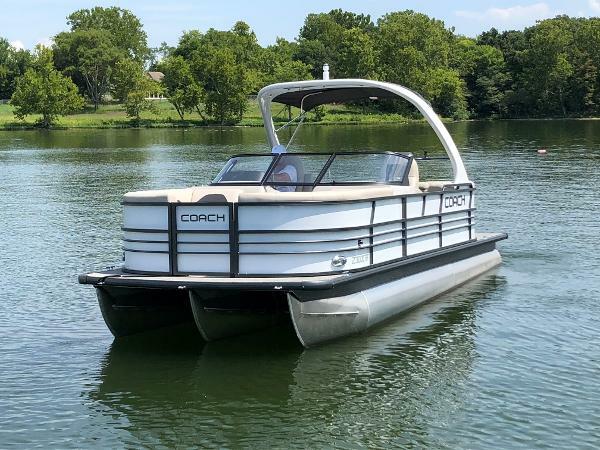 Classy white Coach 250 DCRL with hammered black rails. 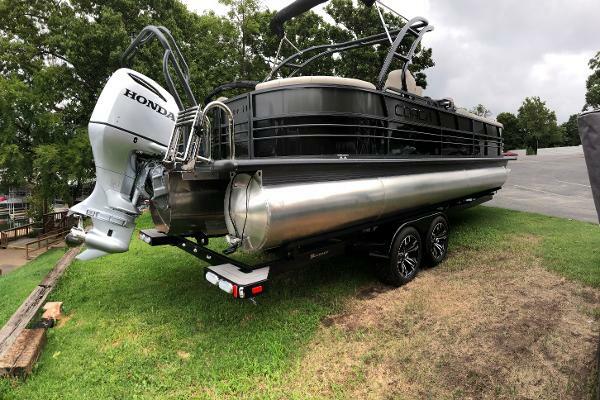 This boat is a head turner! 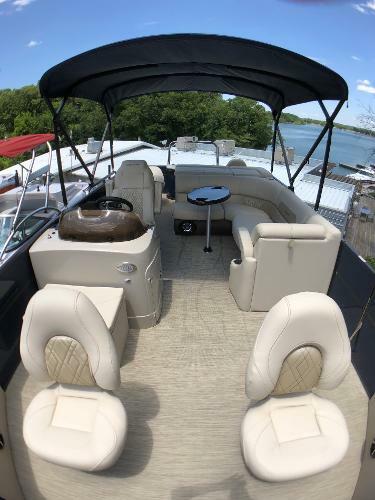 Features Include: Privacy Enclosure Extended Bimini Top Coach High Performance Upgrade In-Floor Ski Locker RGB Exterior Lightening Package Woven Flooring Blackout Edition w/Hammered Rails Salt Water Package Hydraulic Power Assist Steering Twin Portable Cupholder Oval Table Gray Furniture Package Ski/Tow Bar Full Cover Custom Boatmate Trailer 10 YEAR WARRANTY!!! Call today to set up your demo. Trades welcome & Financing available! 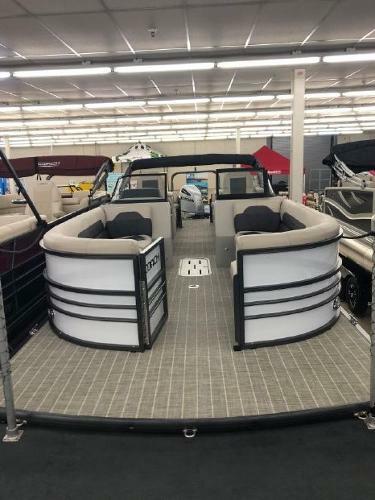 This Frosted out Dual Console rear facing lounge Coach tritoon is a head turner! 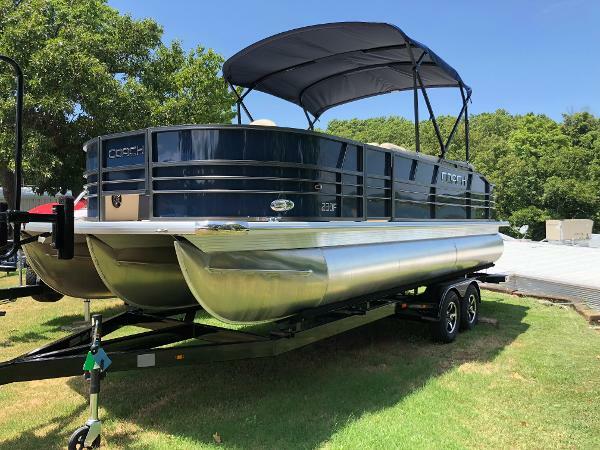 Equipped with a Honda 250hp motor w/best in class displacement, Bazooka LED speakers w/6" Bass tubes, High back captains chairs, plenty of room for entertaining, plus much more! You won’t want to miss your chance to own this fantastic tritoon! 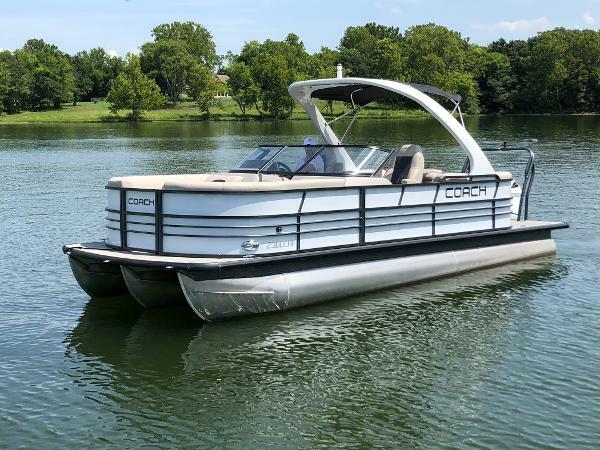 Look no further than the Coach 230 DCRF. Features include: Gray furniture package Blackout Edition Raised Helm High Performance Tube package In-Floor Ski storage RGB Lighting Under Deck & Under Water Hydraulic Steering & Power Assist Steering Multifunction Guages (NMEA 2000) Simrad Touchscreen GPS & Sonar Hammered Powder Coat Rails Gussi Italian tilt Steering Wheel Stainless Four Step Ladder Stainless Steel Cleats & Hardware Deluxe Fiberglass Helm Dual Consoles Soft Touch Seating w/arm rests Deluxe White Arch w/bimini SkiTow Bar Full Fitted, Snap-Free, Boat Cover 10 YEAR WARRANTY!!! Call today to set up your demo. 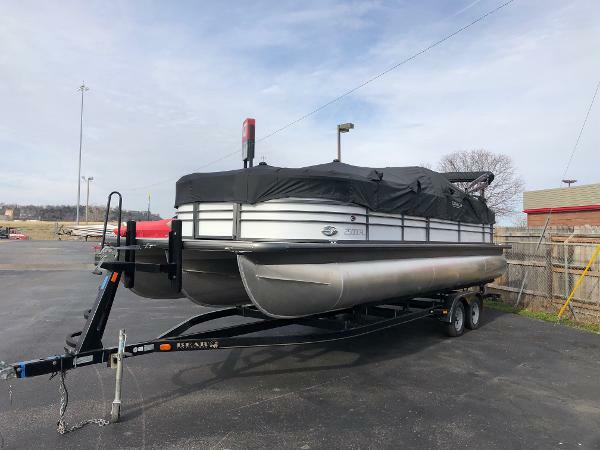 Trades welcome & Financing available! 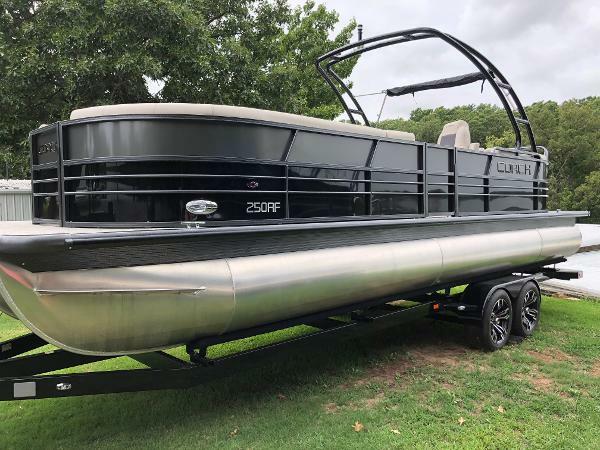 When you want the best of both worlds on the water, pulling the kids on the tube to fishing, then this Coach 230F with performance package is the one for you! 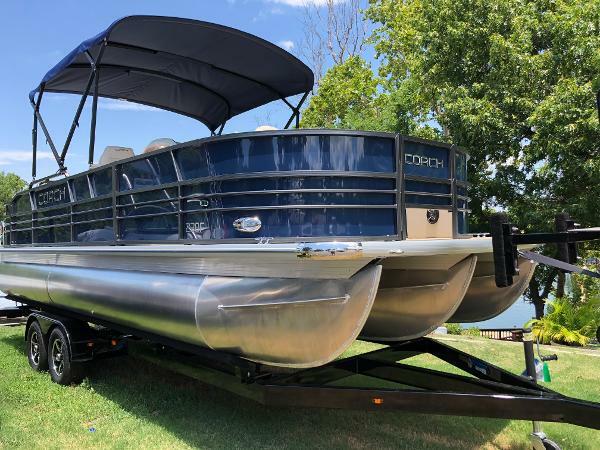 We've stocked this boat with both the fisherman and the weekend fun warrior in mind! 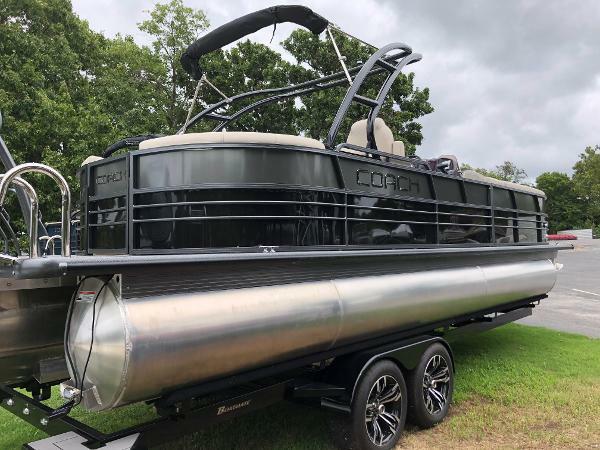 This Coach 230F comes with: Onboard Tackle Trays Two Live Wells Cutting station Stainless Rocket Launchers Vertical Rod Holders Hydraulic Steering & Power Assist Steering Large reinforced Ski tow Bar High Performance Full length Center Tube 54 Gallon direct fill Fuel Tank 4 Lifting Strakes Full Fitted, Snap-Free, Boat Cover Large 4 bow Bimini Top Anodized Black Bimini Frame Multifunction Gauges (NMEA 2000) Simrad Touchscreen GPS & Sonar Hammered Powder Coat Rails Rockford Stereo w/Bluetooth and XM Sirius 90 days included Bazooka LED speakers/6" Bass Tubes Infinity AVD Flooring (NO CARPET) Gussi Italian Tilt Steering Wheel Stainless Four Step Ladder Stainless Steel Cleats & Hardware Deluxe Fiberglass Helm Soft Touch Seating w/armrests Fish Finder Twin-Aft Gates 10 YEAR WARRANTY!!! 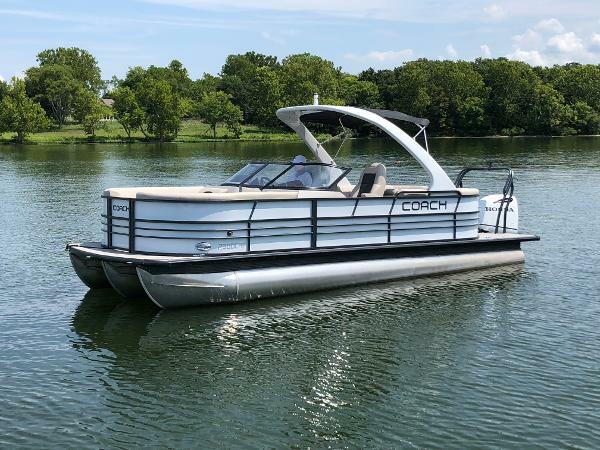 Owning a Coach Tritoon is one of the best value-added choices you can make as a boater, in that many of our high-end features come standard with all our models. Call today to set up your demo. 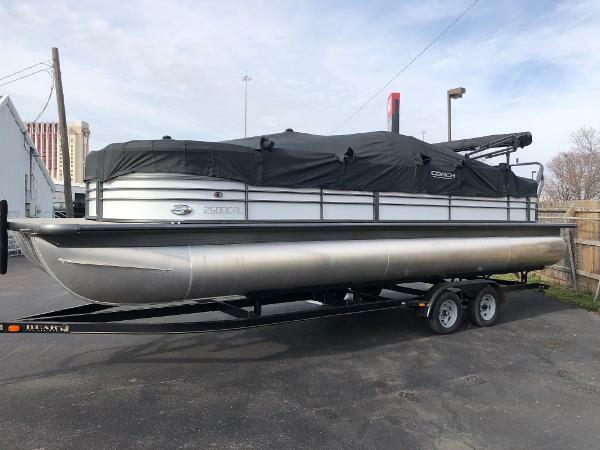 Trades welcome & Financing available!